It seems like I've been away from my machine for much too long!!! I finally got in some sewing time and finished up this awesome pillow. I had this extra block made for my Victory Garden quilt. 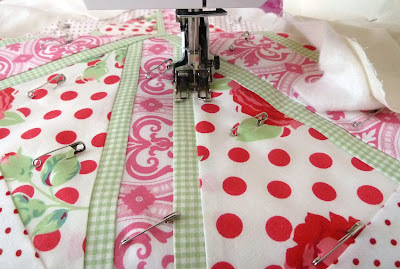 The perfect thing to check my quilting plan would work before I did it for real on my quilt. and then used my favorite Angela Walters paisley in the sashing. I was worried it would be to unbalanced but it did exactly what I wanted, made the flags pop! No surprise I used a striped binding, my favorite Nicey Jane Slim Dandy. I love how the Jen Paganelli print is just peeking out from the back:-) The perfect addition to my living room! Hey, a victory is a victory! 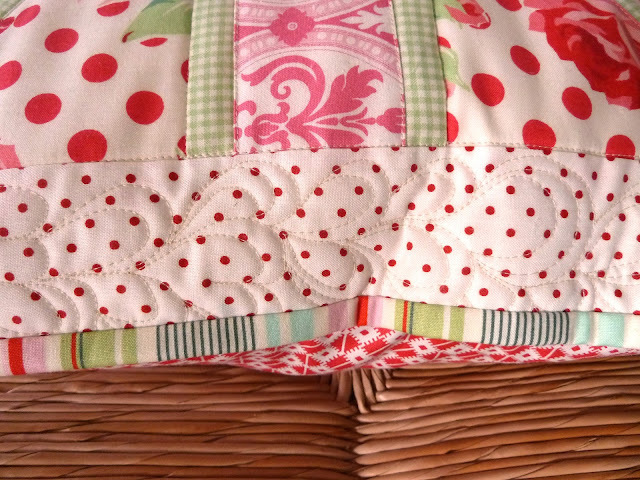 Sometimes simple quilting really is the best for a particular pattern. 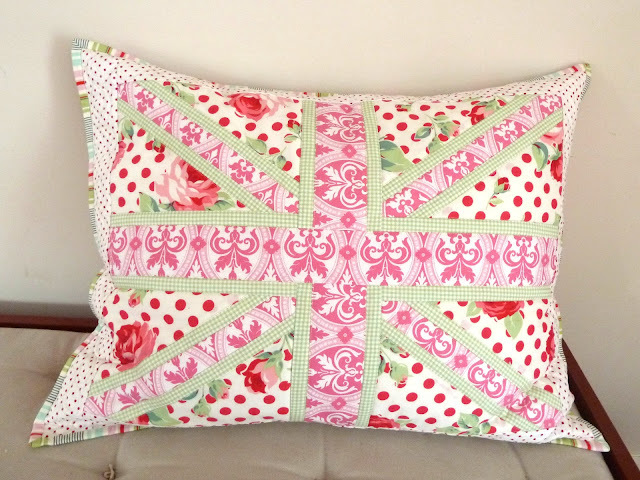 I think going with something simple for this pillow and your quilt is going to be perfect. Now if I could only I could get myself to do that now and then. Sweet! Are you ready to quilt the big quilt now? Good luck! It's really pretty, I should make one for my couch! Very pretty! Love all the fabrics you chose together!